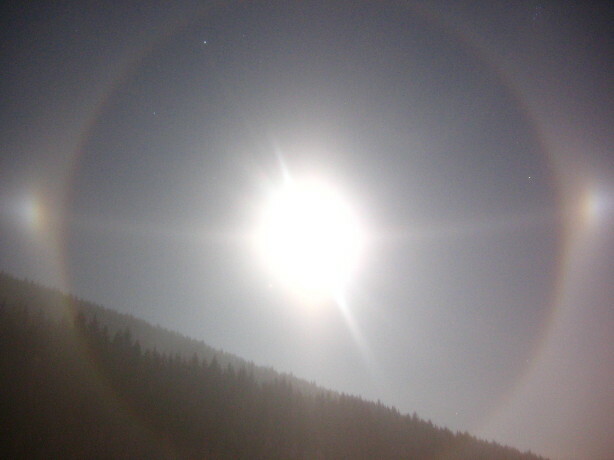 On December 23, 2007 from 6 to 7 p.m. local time Lubos Brat observed bright Moon halo complex. 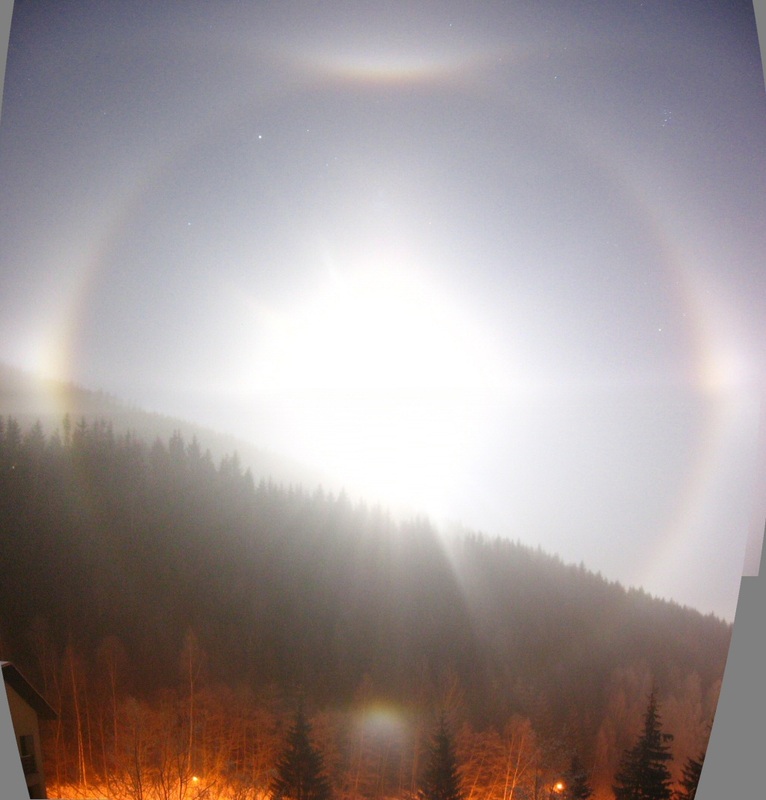 22° halo, complete paraselenic circle, upper and lower tangent arcs and circumzenital arc dominated the display (see a composite image). In addition to these quite frequent halos also upper suncave Parry arc, 46° Parry arc and helic arc were present, as shown by the photo above. 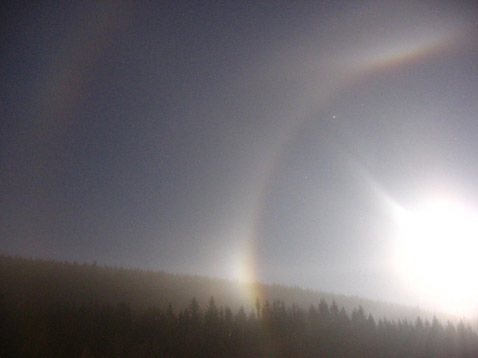 Lower component of the Lowitz arcs may be present as a vague brightening on the 22° halo (right side), see this photo. 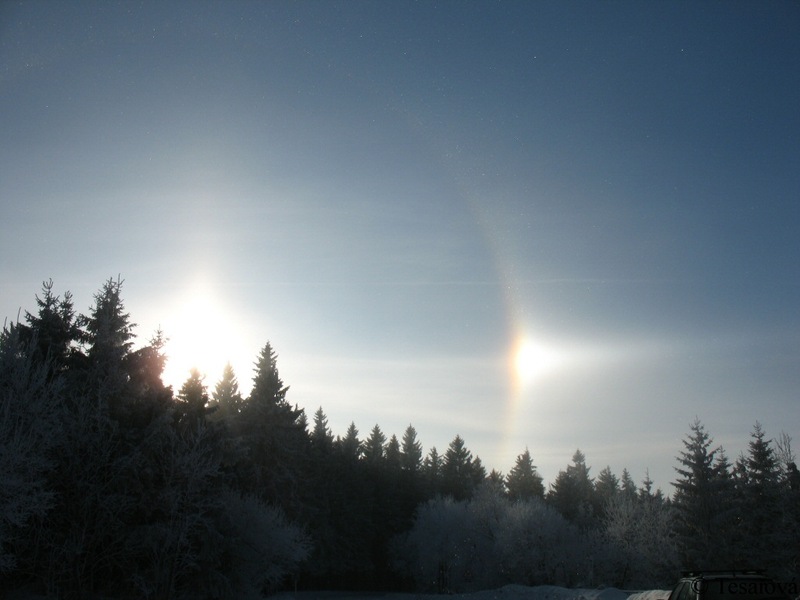 Lubos Brat observed also halo phenomena in the artificial light and he was the first person in the Czech Republic to take a photo of superparhelia. 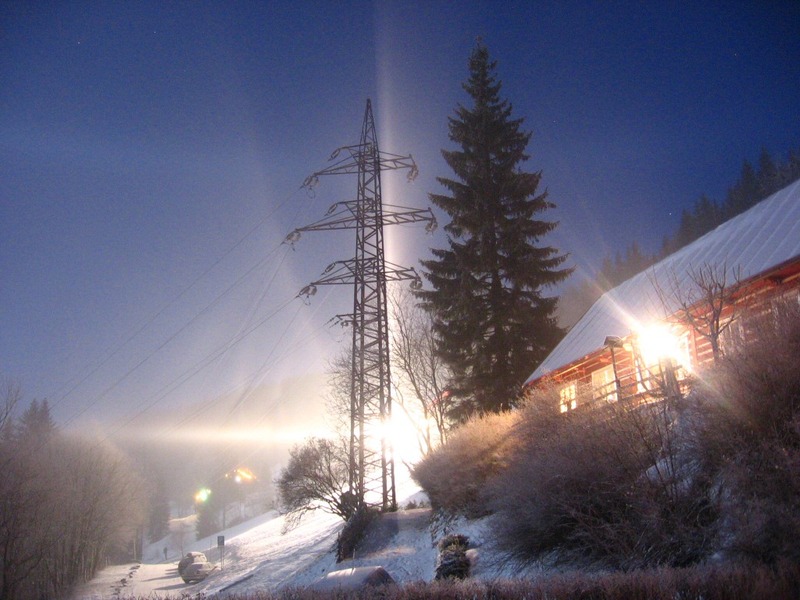 More photos of halo phenomena observed in Pec pod Snezkou between December 22, 2007 and January 5, 2008 are available on the Lubos Brat web site Altan Observatory. 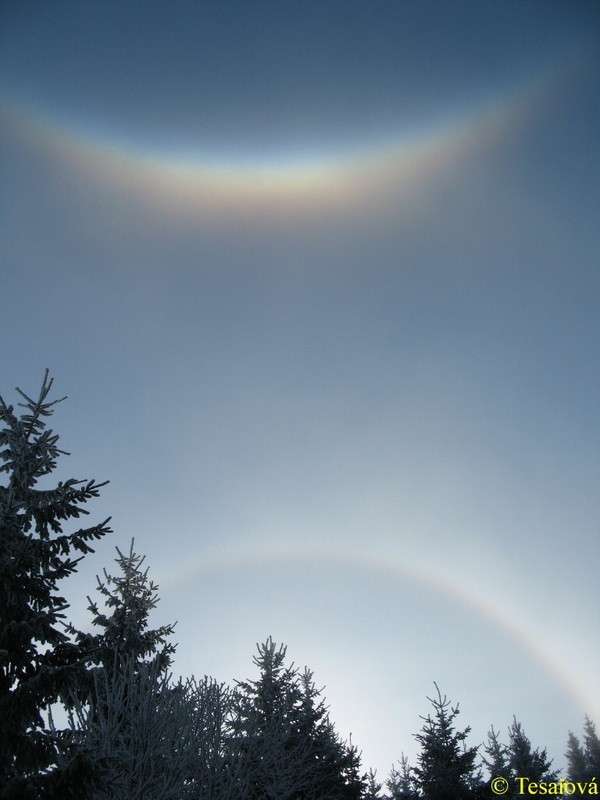 Daytime halos were also seen on the 23 December. In the Orlické mountains Hana Tesarova photographed a display with bright circumzenital arc ( 1 – 2 ). 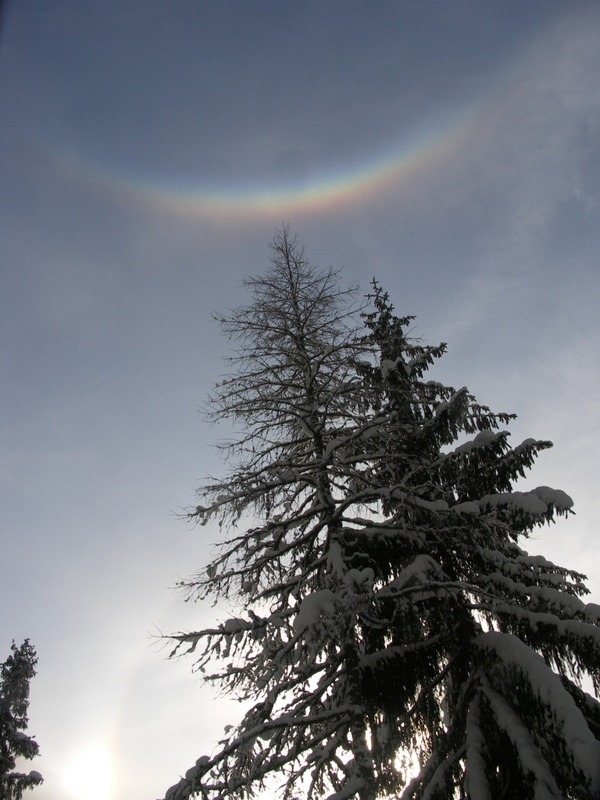 Beautiful circumzenital arc was observed also on December 16, in Western Tatras mountains by Boris (Slovakia), see photo here. Wow what beauty! I like the upper and lower tangent arcs with parry and the 46 degree arcs. That superparhelia thats the best one I have seen there needs to more of those infact that one shows some color. It must have been one exciting evening out there! Very beautiful stuff. Yeah, and congrats for Lubos getting the superparhelia. For some reason they are hard to get. I have not seen any this winter. The superparhelia are great! A rare beauty indeed.